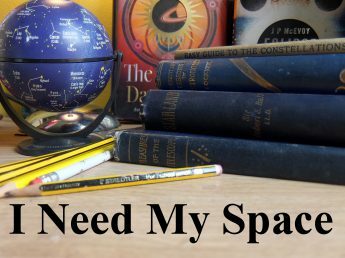 Planetary round-up | I Need my Space! With last Tuesday’s observations of the icy giant Uranus fresh in my mind, I thought I’d delve in my observation book and find out the state of play on when I last saw each planet. Mercury – I’d hoped for a sighting during the August 2017 solar eclipse, but I didn’t see it. Some did, and I suspect if I’d have not had a bit of camera panic, I’d have found it. So the last time I saw the elusive planet would be the Mercury transit of the Sun on May 9th 2016. I got some photos of the disc by eyepiece projection. Venus – Last spotted in Shropshire early September as a morning object. I sketched and photographed the phases earlier in the year, when it was a twilight object. Mars – Last seen June this year as a swimming small globe in the telescope. Observations last year showed the polar ice cap. If I’m honest, I didn’t turn my scope to it much this year, so low in the sky it was. Jupiter – The last telescopic observations I have are June 2017, but the gas giant made an appearance during the August eclipse. Saturn – Last seen at Perton Library Astronomy group September 21st this year. It’s been ‘hedge skimming’ through the summer. Uranus – Last week at the Trysull observing session with Wolverhampton Astronomy Society I got to see the planet through two different telescopes. Cool! Neptune- I found this elusive planet through 10×50 binoculars on the 12th November this year. I used Stellarium to formulate the field of view, and used a crude sketch in my observation book. The boldest dot is the star Hydor, in Aquarius.